Few things are as delicious as roasted garlic. There’s something about the smell that attracts us like months to a flame. It’s impossible not to water at the mouth when it comes to roasted garlic, even if it’s only smelling it. While roasted garlic, or any other kind of garlic for that matter, is more often than not imagined in the context of Italian food, you’ll find that garlic is a popular ingredient in cuisines from around the world. This is why it pays to learn what makes this ingre﻿﻿dient amazing, how to select it, how to use it and how to roast it so important. Learning how to handle garlic is one of those key cooking abilities one should know. Because once you learn it, you’ll be well on your way to giving your own ‘touch’ to every recipe. So, with that in mind, let’s get started with this guide to roasting garlic and everything you need to know about this delicious, and healthy food. 1. Help! My garlic is blue! 3. What are other ways one can store roasted garlic? 4. Avoid burning your garlic! Roasting garlic might sound like the kind of thing you can only do if you have a complete kitchen with all kinds of appliances but, trust us, you can roast garlic practically everywhere. You can roast garlic in the oven, the stovetop, the grill and even in a microwave, making garlic a versatile and delicious ingredient that you can roast no matter what. Let’s cover all of them! Roasting garlic in the oven is the most popular way of doing it as well as one of the easiest, so we’ll start with that. Heat up your oven to 400 degrees Fahrenheit. Carefully peel off the papery outer layers of the garlic, but not the thicker layer that keeps the cloves inside. Using your knife, cut off ¼ inch of the garlic head. Make sure to slice through the upper part of the garlic cloves as well. You want to see the inside. Drizzle with 1 or 2 teaspoons of olive oil depending on the size. Don’t use it all at once, use a bit first and let it trickle down the cloves, then use the rest. Tightly wrap in foil and bake for 40 minutes. Check on the garlic to see if it’s done. Your garlic will be done when you can easily pierce it with a knife. That said, you can keep it in the oven for longer to give it a golden hue and a caramelized flavor. You can now serve your garlic to be eaten with bread or garlic, use it in recipes that call for roasted garlic or even store it. Let’s face it, not everyone has a working oven, which is why we’re here to show you how to roast garlic on your stovetop. Heat up your pan for at least half a minute, though this may take longer if you’re using a large pan. While you wait, take out your garlic cloves from the garlic head but let them each in their ‘paper’ skin. Throw your garlic cloves into your hot pan and let them sit for a couple of minutes before stirring. Keep doing this until you see the skin start to blacken. Once the garlic skins have blackened, take them off the heat and let them cool down for a couple of minutes. Peel off the skin and enjoy! As with the previous process, you can serve right away or store. While it might sound complicated, roasting garlic on the grill is actually pretty simple and it’s a wonderful way to multitask. Place about 12 inches of aluminum foil on your counter and carefully spread your peeled garlic cloves in the middle, forming a single layer. Drizzle well with olive oil. Wrap the cloves with the foil, folding the foil as much as necessary to keep the oil from escaping. 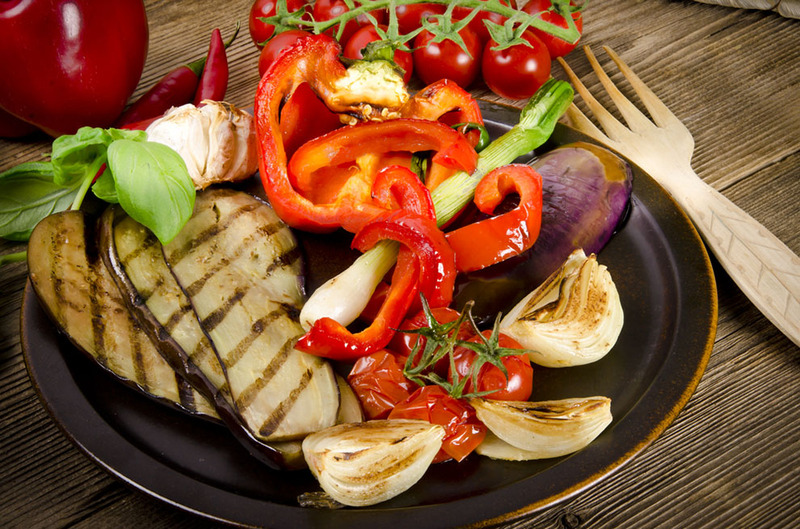 Place your foil bag on the grill and let it roast for a few minutes as you grill something else. This shouldn’t take longer than your average burger, so it’s a good idea to time it like that. This will keep about a week in the fridge. Alternatively, you can smash it several times, add some coarse salt, smash it some more and create a purée that you can use to give some extra taste to whatever you’re grilling. A fantastic option for those of you who only have access to a microwave, this is a great way of being frugal while enjoying delicious meals. Peel off any papery parts of the garlic, leaving only the layer that covers the cloves. Slice off the top of the garlic, so that you’re cutting the top of the cloves as well. Cover with a microwave safe dish and microwave for 3 minutes. Microwave in 1 minute intervals, checking after each one. Repeat after garlic is tender. Did you buy pre-peeled garlic cloves? You can roast them in your oven! 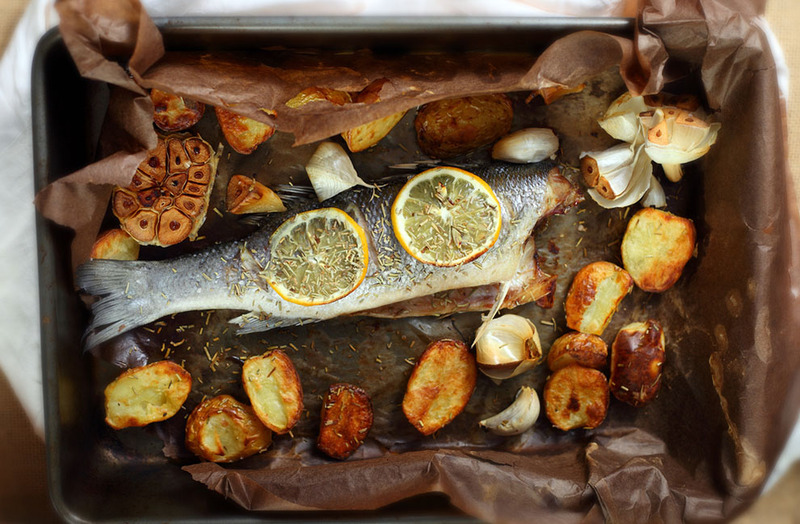 Place your garlic cloves in the middle of a sheet of aluminum foil, drizzle with olive, sprinkle with salt and pepper, fold the foild packet so that it’s tightly sealed and bake at 350 degrees for about 40 minutes or until soft. Thanks to The Kitchn for sharing these tips! Not a fan of waste? No problem! Cut the garlic head in half, width wise, and drizzle olive oil on a small roasting pan before placing both halves cut side down, so that they absorb the oil. Cook in the oven at 350 degrees for 50 minutes or until soft. Thanks to T﻿﻿ipn﻿﻿u﻿﻿t for sharing these tips! Need to freeze your roasted garlic? 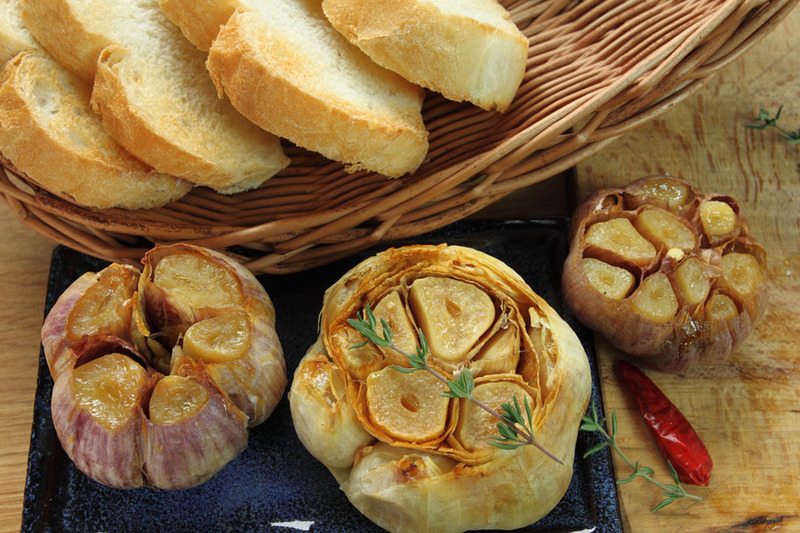 Roasting garlic and saving it for later is not only a very good idea, it’s also easy to do! Simply arrange them in a single layer on a baking sheet and place it in the freezer for a couple of hours. Take them out once they’re frozen, separate them and place them in a freezer bag or a container. Thanks to T﻿﻿﻿﻿﻿﻿he Kit﻿﻿﻿﻿ch﻿﻿n for sharing these tips! From when to buy it to how to cook it, there are plenty of tips and tricks out there that can help you step up your garlic game. Garlic is available all year round, so you’ll always be able to find it fresh. Because finding it fresh is so easy, you should always discard garlic bulbs that look dry and flaky, as those are more than likely old and dry. The perfect garlic head looks plump and firm, with cloves easily felt through the skin and pressed tightly against each other. ​Note: Sometimes you’ll notice a little green stem when cutting a garlic clove. This means that the clove has started to sprout, which can alter the taste and even turn it bitter. 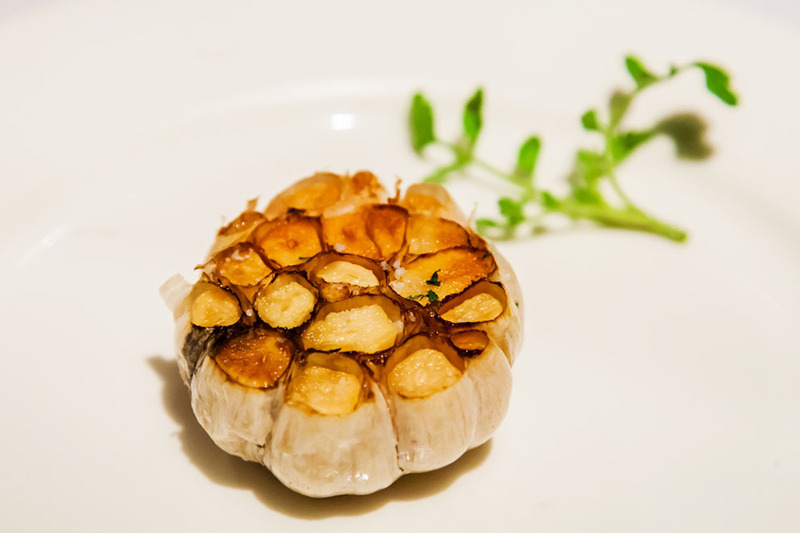 As we mentioned before, roasted garlic is popular in a lot of cuisines around the world and Mexico’s is no different. While you might not have a comal at hand, chances are you have a griddle or a skillet. If that’s the case, simply place unpeeled garlic cloves on a hot skillet and the them cook, shaking the copper pa﻿n every now and then to make sure it’s cooking on all sides. No oil or condiments needed, just do this until the skin is blackened and you’ll be done. You can do the same with chiles (to boost their spiciness) and onions as well! When sliced garlic enters in contact with oxygen it releases some of its best qualities so, regardless of how you’re going to use it, cut it, chop it, mince it, slice it or whatever you need to do with it and then let it sit for around 10 minutes while you prepare all the other ingredients you’ll need for your recipe. While delicious, garlic is known for being very smelly and anyone that eats it or cooks it will be carrying the smell around. The easiest way of getting rid of garlic breath is to brush your teeth, floss and nibble on parsley. And if you cooked it? Simply rub your hands with a paste made with lemon, baking soda and salt before rinsing with cool water. Rubbing stainless steel with your hands is also a great idea of doing this, but it will take a while so it’s probably not the best idea if you’re in a rush. When chopped, garlic can release oils and sugars that make it sticky, which some people dislike. If you’re the kind of person who doesn’t like handling garlic because of this, try using a garlic press. It should make things easier for you. It might sound like nonsense, but garlic tastes different depending on what you do with it, even before you add other ingredients. Garlic can be crushed, minced, filleted and even mashed, which will alter its cellular structure and change its taste. - Crushed garlic has a harsher more garlicy flavor. - Sliced or chopped garlic have a milder taste. - Delicately minced or even filleted garlic has a gentle taste to it. - Intact garlic cloves are the mildest form of garlic. Yep, what you do with garlic before you actually do something with it can make a big difference in your food, so when it comes to garlic make sure to follow the recipes exactly. As you can see, there’s a fairly good number of ways to improve the taste of your garlic and the way it’s used but you need to know there’s also a good number of ways one can misuse garlic. Don’t worry, though. Here’s a list of quick tips that will help you deal with some of the most common garlic mistakes. If your garlic takes a blue, slightly greenish color out of nowhere, chances are it came into contact with acids, such as lemon juice, while you were distracted. Acids change the composition of acid, which can result in a blueish hue. Don’t worry about this, though. The taste is the same and it won’t hurt you, so go ahead and enjoy! Garlic has its own oil, and it’s entirely possible to roast garlic without it. 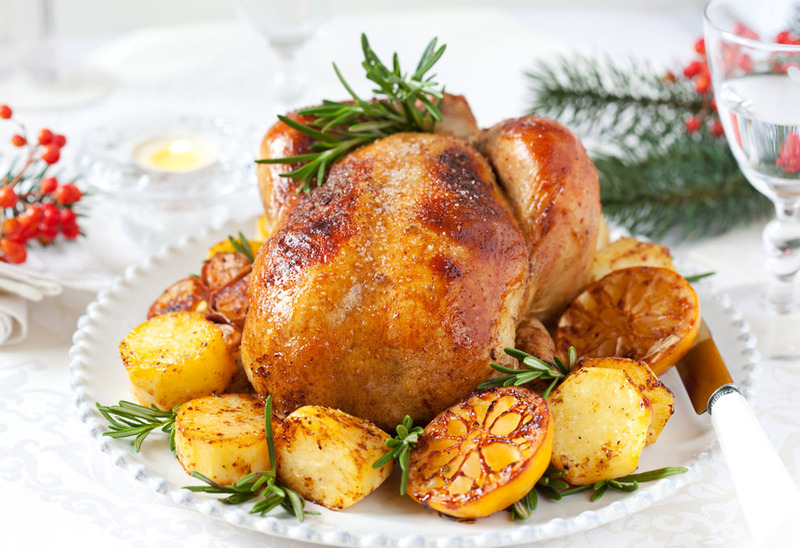 In general terms, if the cloves haven’t been peeled, or sliced, you can roast them without oil. As easy as that. 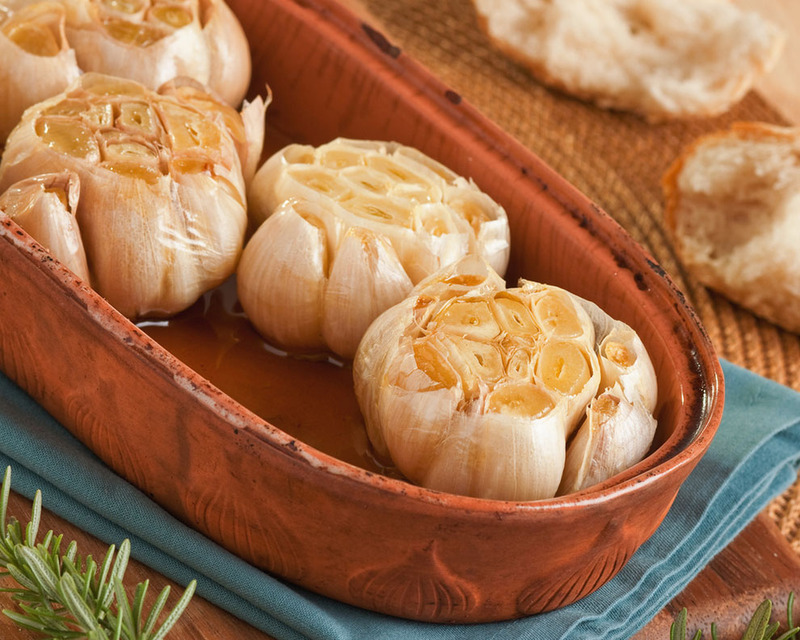 Roasted garlic can keep from weeks to months, depending on how you store it. Leaving it in the bulb while wrapped in tinfoil can make your roasted garlic last a handful of days in the fridge. Squeezing the roasted cloves and storing them in a glass container, covered in olive oil, can keep them for weeks. Smashing the cloves repeatedly and mixing them with coarse salt to make a paste doesn’t make it last longer by itself, but you can mix it with other ingredients, such as herbs, place them in an ice cube tray and freeze them, which will keep them for months. If you think that adding garlic to a recipe at the very start will release even more flavor, think again. Burnt garlic tastes﻿ really bad, so you should always add it towards the end of the recipe to avoid accidentally burning. Finally, remember that raw garlic, as long as it stays unpeeled, can last up to 3 months as long as you leave it in a well ventilated place and away from the sun. Now that you know most of what you need to know about garlic, it’s time to put what you’ve learned to the test with ten amazing recipes. 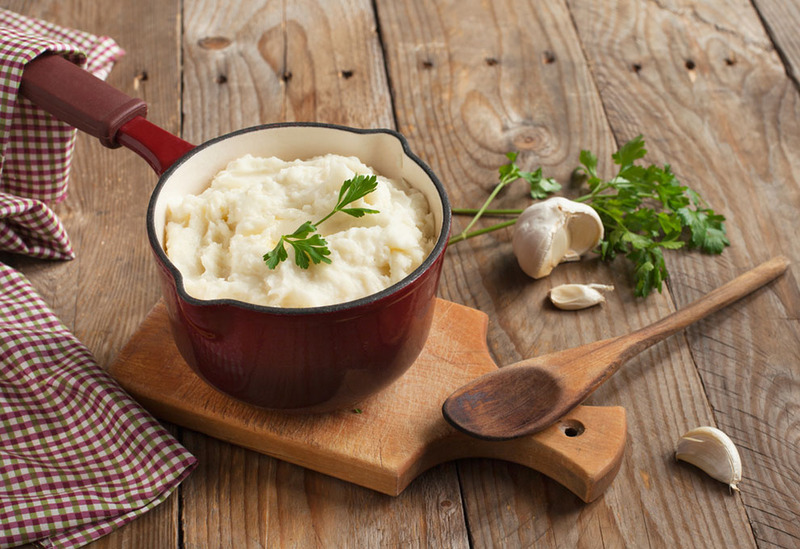 Mashed potatoes are already the perfect food, but when you add garlic to the mix it goes from delicious to mouthwatering good. These mashed potatoes are creamy and thick to the point that they’ll cling to your spoon in the best of ways and the recipe itself is simple and easy to follow. This recipe is definitely a crowd pleaser! 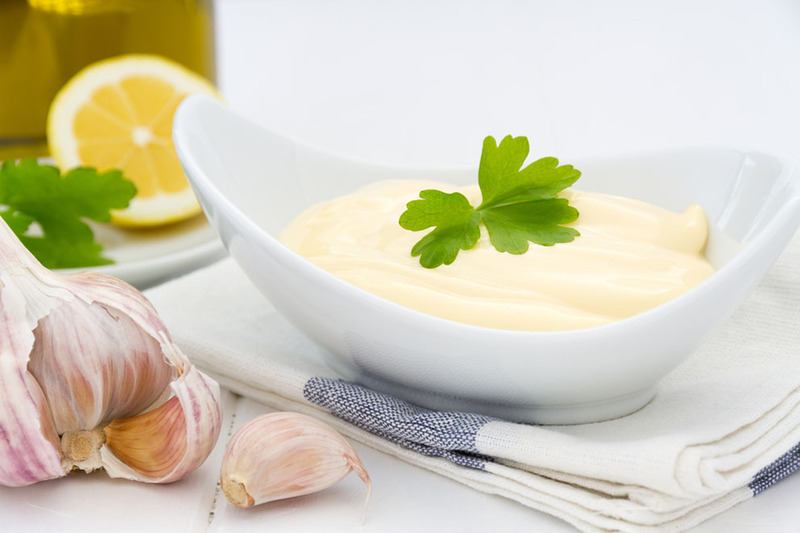 Aioli is a special kind of oily cream popular in Mediterranean cuisine and, if you’re a garlic lover, it’s going to become one of your favorite things in the world. It can be eaten with fries, fish, chips, seafood, some types of ﻿﻿meats, vegetables and many more things, making it a win no matter how you look at it. The recipe is made with affordable ingredients and it’s very easy to follow so make sure to give it a try! 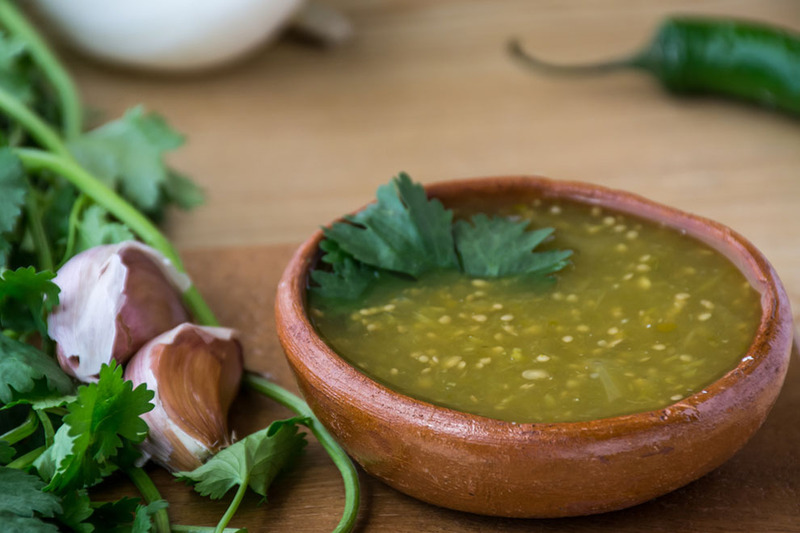 If you love spicy food, this fantastic garlic and tomatillo recipe is soon going to find its way into almost all your meals. With a strong and unique taste, this salsa is perfect for Mexican food and anything that needs a spicy kick. It uses garlic, tomatillos and jalapeños so you’ll know it’s packed with flavor! A staple of Greek food, this delicious food can be used as a dip or as a spread, giving a punch of flavor to anything you eat it with. It’s particularly good with crusty breads, pita bread or even vegetables, thanks to the touch of lemon it has. Creamy, and fresh. This spread recipe is the kind of thing you need to try at least once. Potato salads need no description, but this one is the exception. 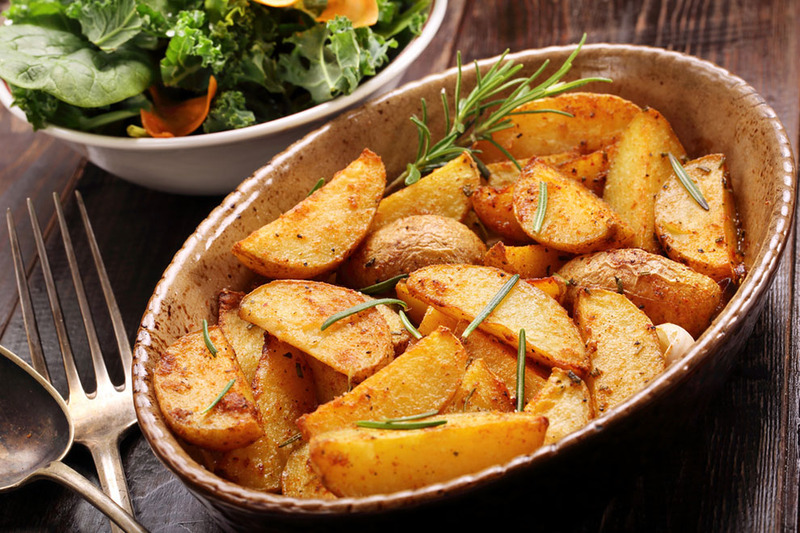 With soft potatoes that practically melt into your mouth and the caramelized taste of garlic only roasted garlic has, this potato salad works great as a side dish, particularly for meats. It takes about an hour to cook, so it gives you plenty of time to cook other things while you wait. You won’t believe how much flavor this spread packs! 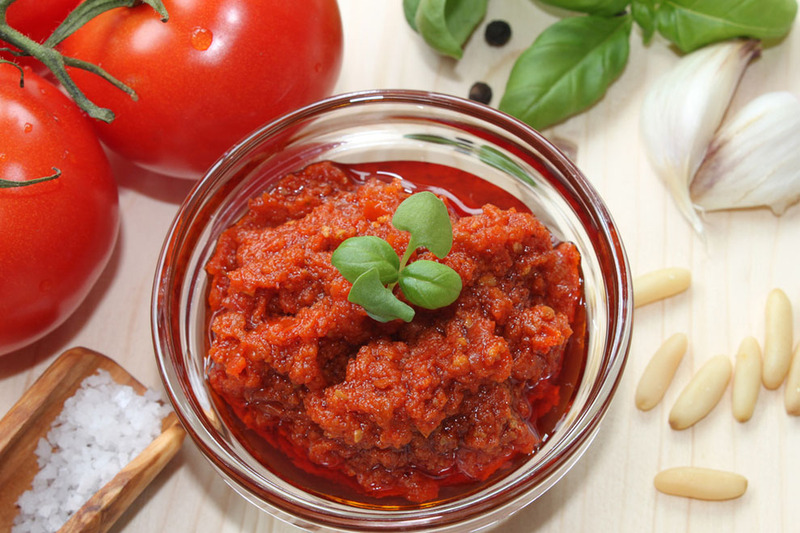 The characteristic and noticeable taste of sun dried ﻿tomatoe﻿s and roasted garlic blend in the best way possible to create the kind of dip you simply won’t be able to stop eating. Eat it with chips, spread it on bread, use it to make your sandwiches the best thing in the world. The possibilities are endless for this amazing and easy to follow recipe. This fantastic recipe serves 4 and it can be the star dish of any dinner! 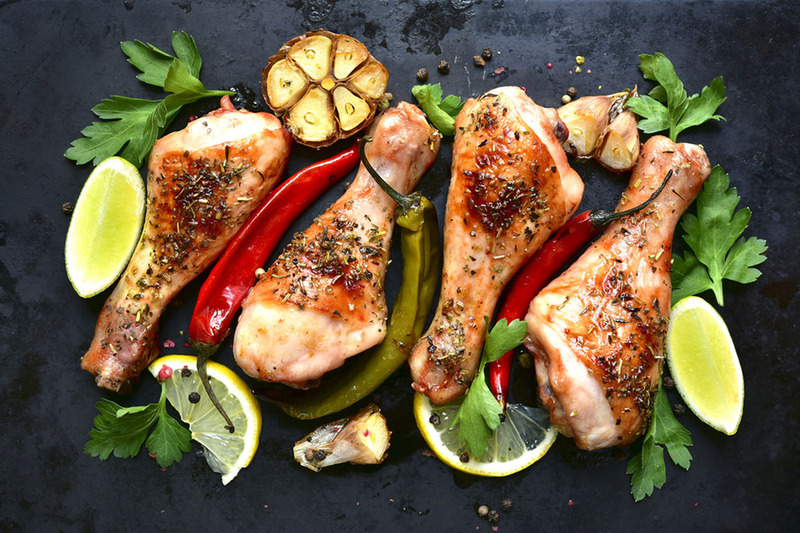 Made with wine, chili powder and garlic cloves, this chicken has the kind of taste that will stay in your mouth and your mind for a while. 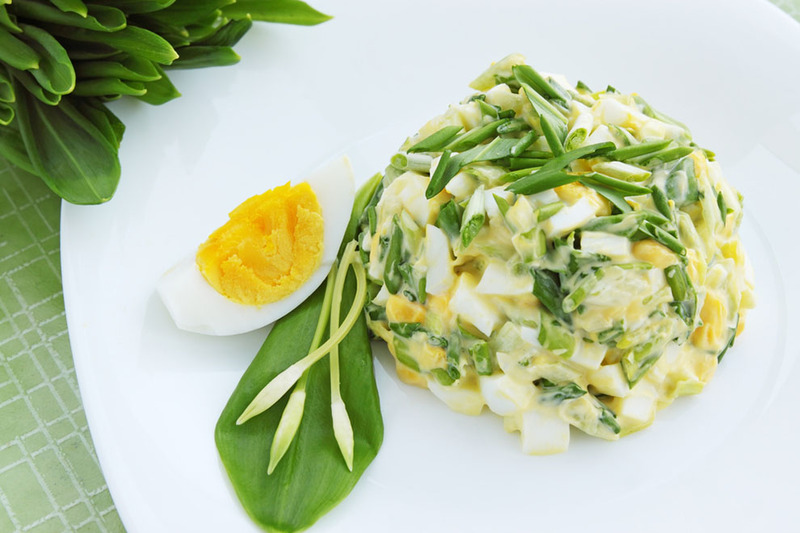 It’s a time-consuming recipe, no doubt, but we’re sure you’re going to love it so check it out! This delicious soup is the perfect way to kick off a hearty and tasty dinner that your entire family will love. 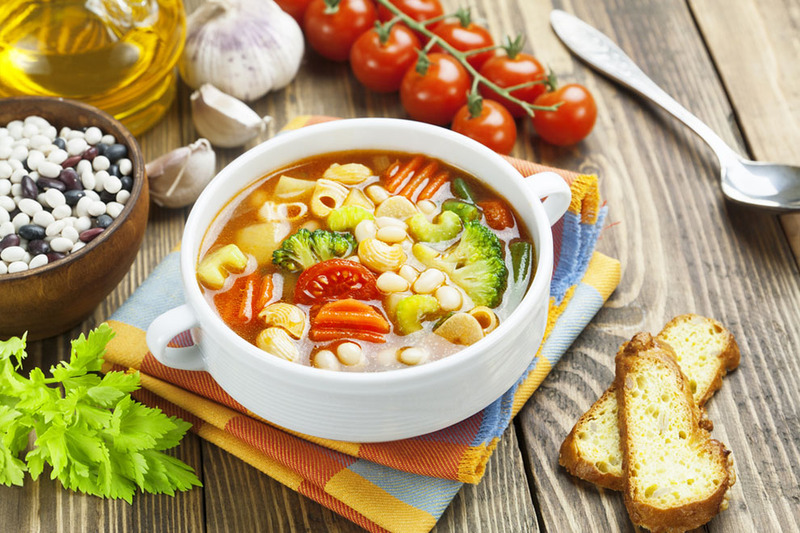 With bell peppers, tomat﻿﻿o paste, broccoli and other vegetables, it’s one of the healthiest soups you can make, and the pasta makes it filling like you wouldn’t believe. While garlic is one of the main ingredients, it might not be noticeable so if you’re looking for that roasted garlic taste, then feel free to add more. If you’re looking for a different take on vegetables, even the common ones such as carrot, you’re going to love this recipe. 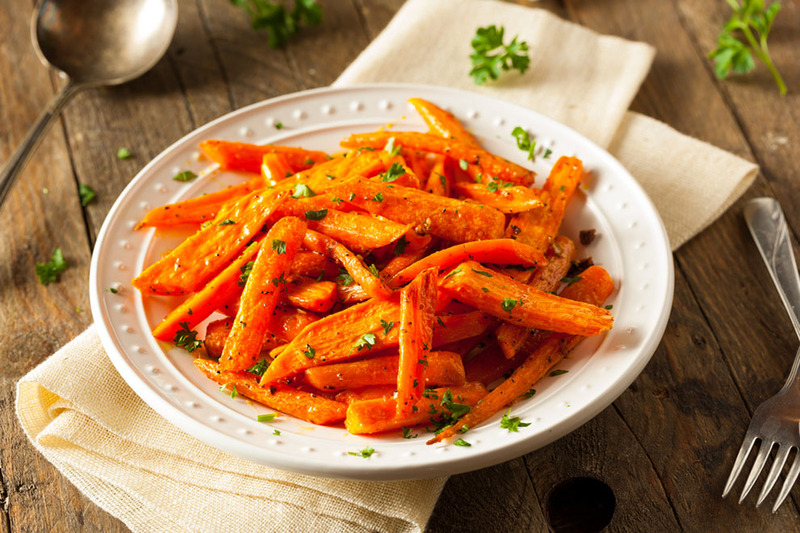 Roasted carrots are a wonderful alternative to the ever so popular steamed ones, as roasting them boosts their flavor while also leaving a bit of crunch. And the garlic? Well, the garlic adds to the taste even further, turning your usual, run of the mill carrots into something you’ll entire family will fight over. 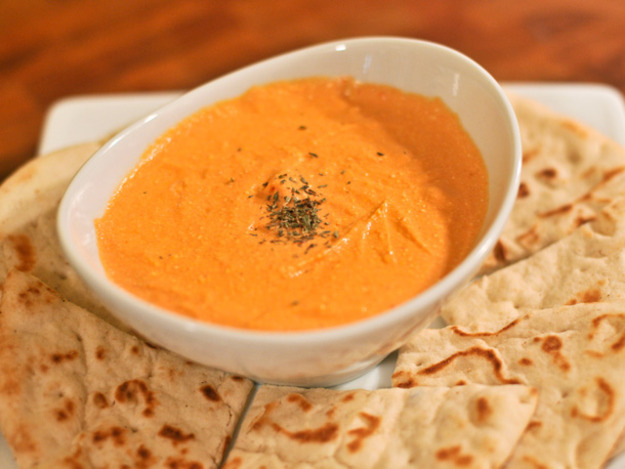 Hummus is one of our favorite spreads, as it goes well with absolutely everything. 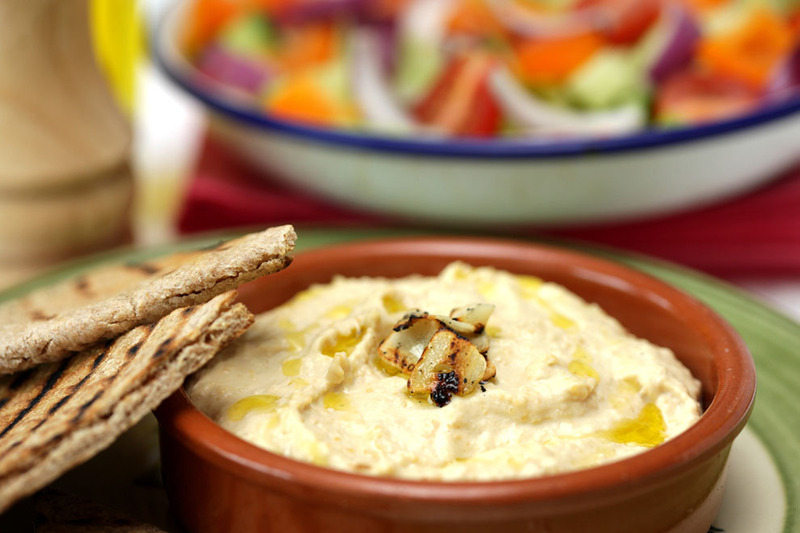 With its creamy texture, rich taste and sweet tones born from the roasted garlic used to cook it, this hummus recipe will soon turn into your favorite hummus ever. And if you don’t like hummus? Well, this recipe will change your mind! The recipe is easy, straightforward and something you absolutely have to try. 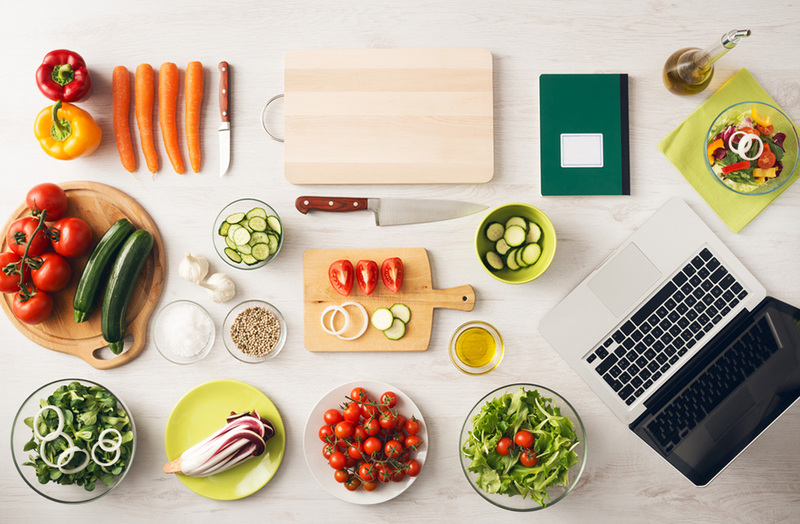 While these recipes are delicious, there are many more ways you can use garlic to spice up your cooking game. 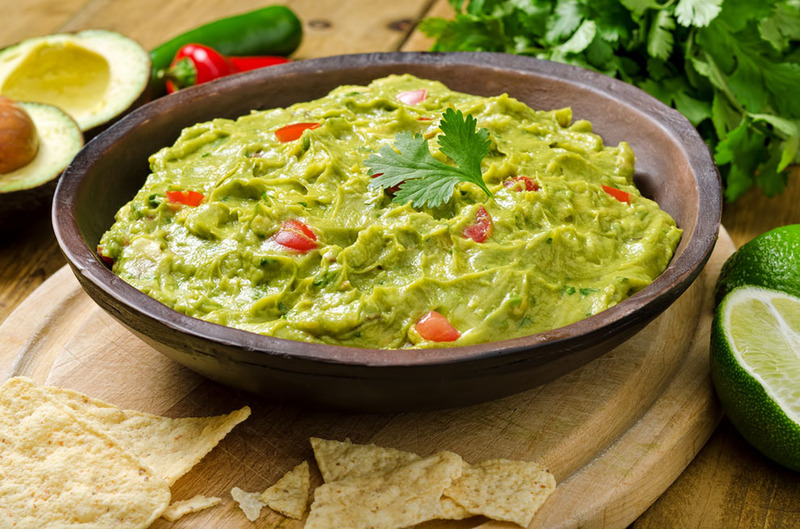 Not only does it go great with chips, quesadillas and other delicious snacks, but guacamole can be super healthy all by itself, thanks not only to the avocados used to create it but also thanks to the garlic used to give it more flavor. Try adding guacamole as a side dish for different foods. Not only will it be delicious, but it will also be a fantastic source of garlic. Garlic bread shouldn’t be saved only for pizza nights and Italian restaurants. Go ahead and buy (or make) some garlic butter, which then you can add to your toast whenever you’re having something salty for breakfast or even when you just need some garlicy goodness in your day. 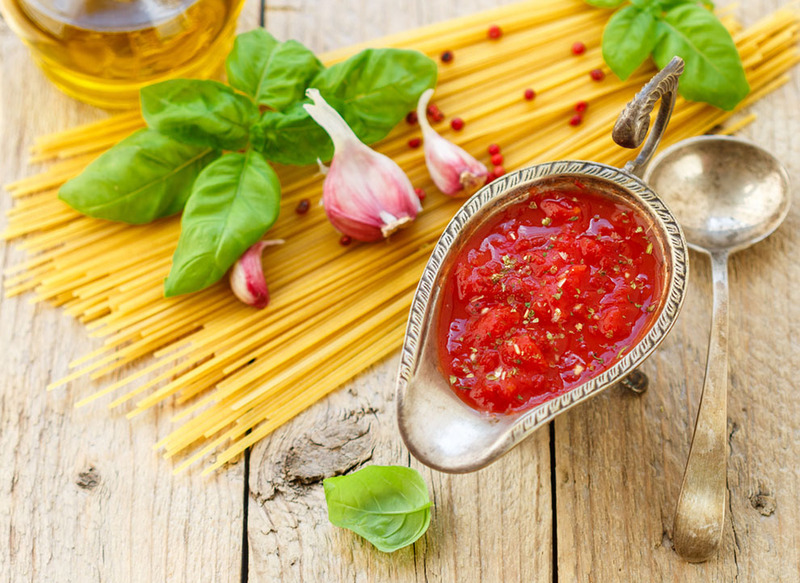 Garlic is often an ingredient in pasta sauces, but you can always mince some raw garlic and mix it with in order to have a stronger flavor and enjoy all the health benefits we previously mentioned. Tastier pasta and good health. Bottled salad dressings are often packed with calories and preservatives and can be incredibly fattening. 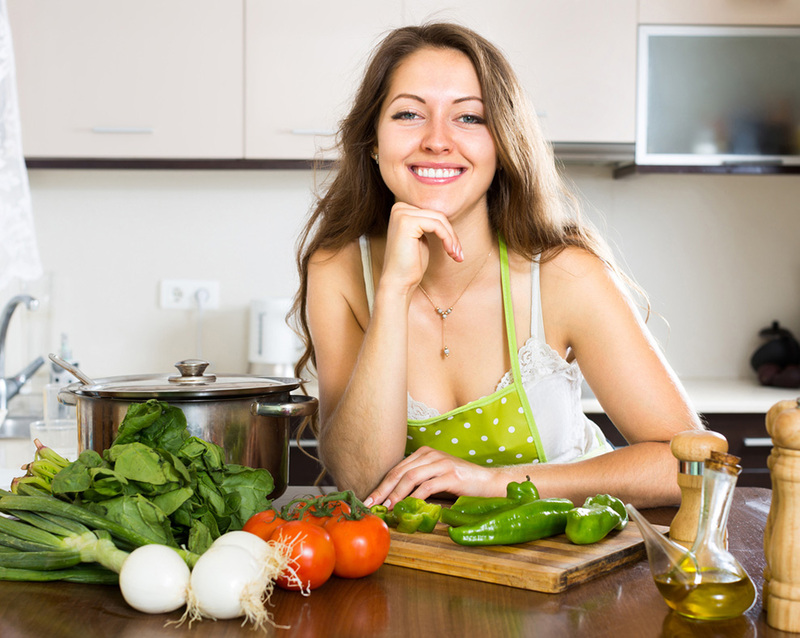 This is why making your own salad dressings is often recommended, as you can control exactly what goes into your food. Adding minced raw garlic to your dressings will not only boost their flavors and give your salad a lot of personality but will help you introduce garlic, and its many health benefits, into your daily meals. Alright, so this might not sound delicious and, in fact, it’s not everyone’s cup of tea (ha!) but it’s easy to make, easy to drink and it will do wonders for sore throats and even fever, making it a great tool at your disposal. As you can see, there are plenty of ways you can add garlic to your daily diet. It’s only a matter of being creative! We’ve already covered the fact that garlic tastes amazing, to the point that around the world there are restaurants that cater specifically to the garlic loving crowd by putting it in almost every item in their menu. While it’s tastiness is undeniable, it’s far from the only good thing about garlic. In fact, garlic is one of the healthiest foods you could possibly find; to the point that, through ancient history, garlic was one of the most popular ingredients in all kinds of health remedies and was often used as medicine itself. While it might not seem like it considering some of the foods you can cook with it, garlic actually has very few calories, with 30 grams of garlic containing around 42 calories total. ​25% of your daily recommended Manganese intake. ​17% of your daily recommended Vitamin B6 intake. ​15% of your daily recommended Vitamin C intake. ​6% of your daily recommended Selenium intake. Plus great amounts of fiber, calcium, potassium, phosphorous, vitamin B1, copper and iron. All part of a healthy and balanced diet. Because of the high number of vitamins in a single serving of garlic, this vegetable has been proved to boost your immune system, making it more resistant to colds and similar diseases. In fact, a large study showed that consuming garlic daily can reduce your odds of getting a cold by up to 63%, while also reducing the length of your colds to just 2 days. Not bad for such a tiny thing, uh? If you’re the kind of person who gets colds on the regular, consider eating more garlic. 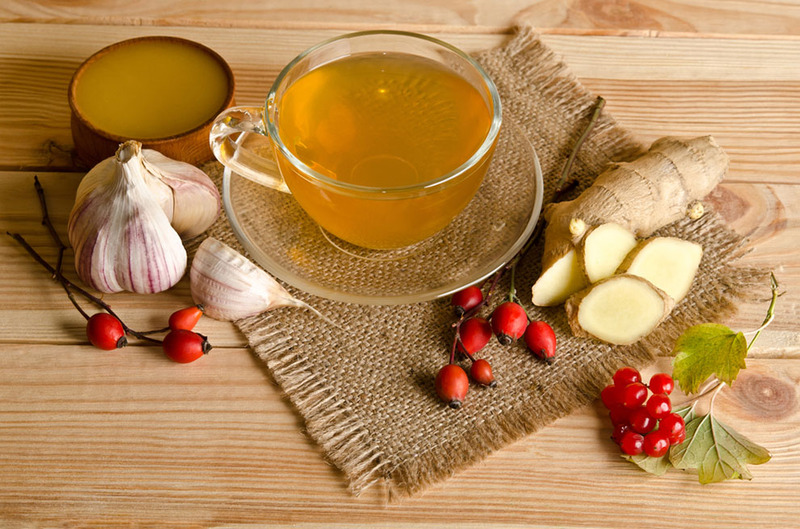 Not only you’ll have a lot of fun in your kitchen, you’ll also suffer from colds a lot less. Cardiovascular diseases are becoming one of the leading reasons of death through the world. Be it our sedentary lifestyle, the world’s growing obesity crisis, our stress filled lives, bad diet or a combination of all four, high blood pressure is on the rise, which is why it pays to learn ways to combat it. As it turns out, one of the best tools against this type of disease is garlic! 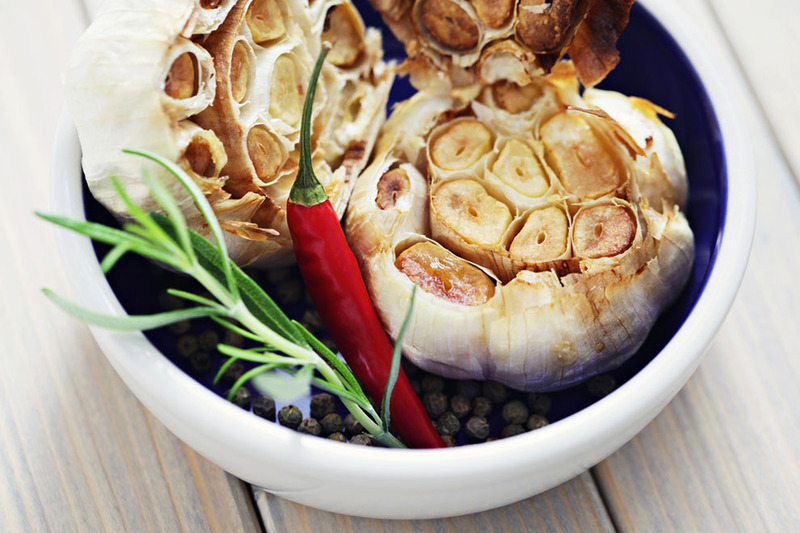 Garlic can help you reduce your blood pressure thanks to one of its main components: allicin. It needs to be mentioned that, while this quality is very real, it needs high doses of garlic in order to work, which is why just eating the thing won’t do as well as taking a supplement. 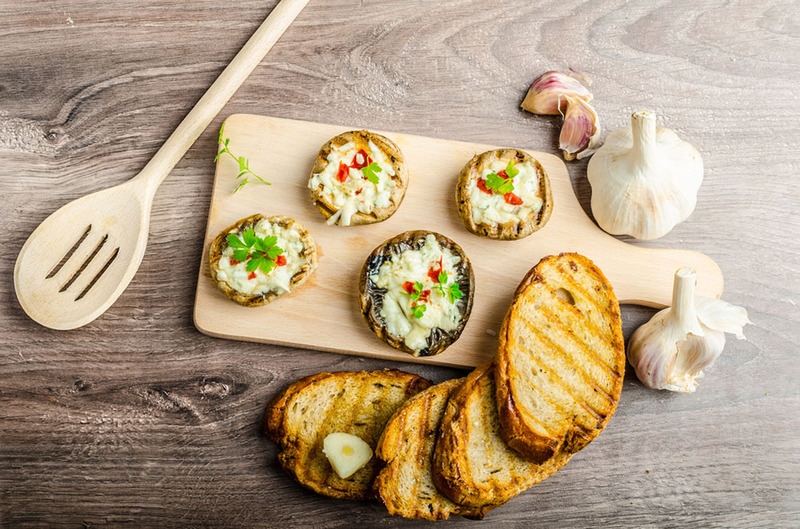 While we’re still talking about heart disease; Garlic can help you reduce your total levels of bad cholesterol (LDL) by up to 15%, a number that might not seem huge on paper but does wonders for your health. Before we close this point, though, it’s worth mentioning that there’s no evidence that garlic does anything to improve your triglyceride levels, so if you’re on meds specifically because of your triglycerides, garlic isn’t going to help you with that. We could write an entire article on the myriad of benefits antioxidants have on our health (and in fact we just might!) but we’ll keep it short this time. As the name implies, antioxidants help our bodies prevent oxidation, which can reduce not only high blood pressure and cholesterol but can also help prevent things like Alzheimer’s disease, dementia and other degenerative mental diseases. Not only that, but antioxidants protect your cells from cell damage and cell ageing, which leads to our following point. Antioxidants are known to slow down cell aging, which can help you not only live for longer but also look younger for a longer time. And if the antioxidants aren’t enough? Then take all the previous health benefits into consideration! There’s no doubt there’s a good chance including garlic in your diet can help you live longer. Remember what we mentioned about garlic being used as medicine in the past? It was also used as a natural athletic performance enhancer! This is because garlic can help you reduce fatigue, increase your recovery times and even enhance your resistance. Hell, it was even given to the original Olympic athletes back in ancient Greece. This property of garlic is far from a placebo thing. Studies have shown that garlic can help improve your athletic performance, by helping you reduce your peak heart rate and reduce your recovery time. Garlic can help protect your organs from heavy metal toxicity, but only in high doses. In fact, a study showed that employees from a car battery plant reduced the lead levels in their blood by almost 20% after taking garlic supplements, along with the symptoms related to heavy metal toxicity. 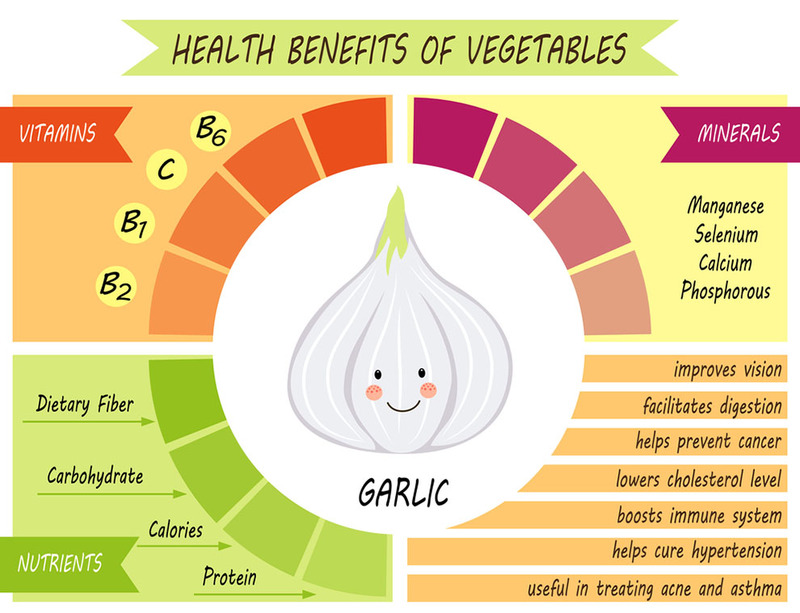 Again, this can only be achieved by taking high doses of garlic, not simply by adding it to your diet, but it supports the the fact that garlic is really, really good for you. Real talk, there have been no human studies on this area when it comes to garlic consumption, but the studies that have been done in rodents show that garlic can help you reduce bone loss. Before you hurry and buy all the garlic, however, keep in mind that garlic does this by boosting your estrogen levels. Which is fantastic for women, particularly for menopausal women, but not so much for men. So if you’re a lady looking for a way to prevent or even combat osteoarthritis, go ahead and add garlic to your diet! 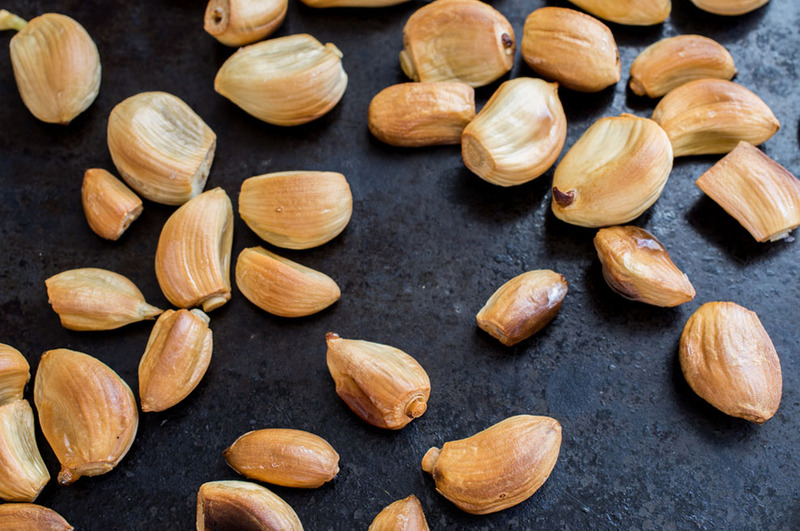 There you have our guide on how to roast garlic that you can make use of if you want delicious, moist and tender garlic for your recipes. Also, remember not to commit the common mistakes as well as you may want to follow some tips and tricks from brilliant bloggers. Finally, you can prepare your garlic by using some of the best recipes we've featured here today! ​Make a roasted garlic recipe tonight and share some pics!